1) Click on the Additional Actions button in the corner of Vyond Studio and select the Download option. The video may download immediately in your browser or a link to download is sent to the email address associated with the Vyond account. 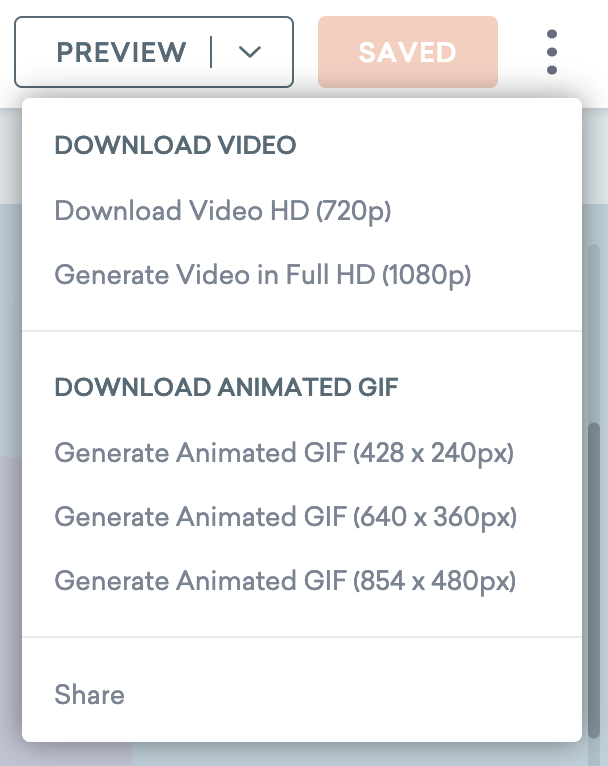 1) Click on the Additional Options icon on a video. 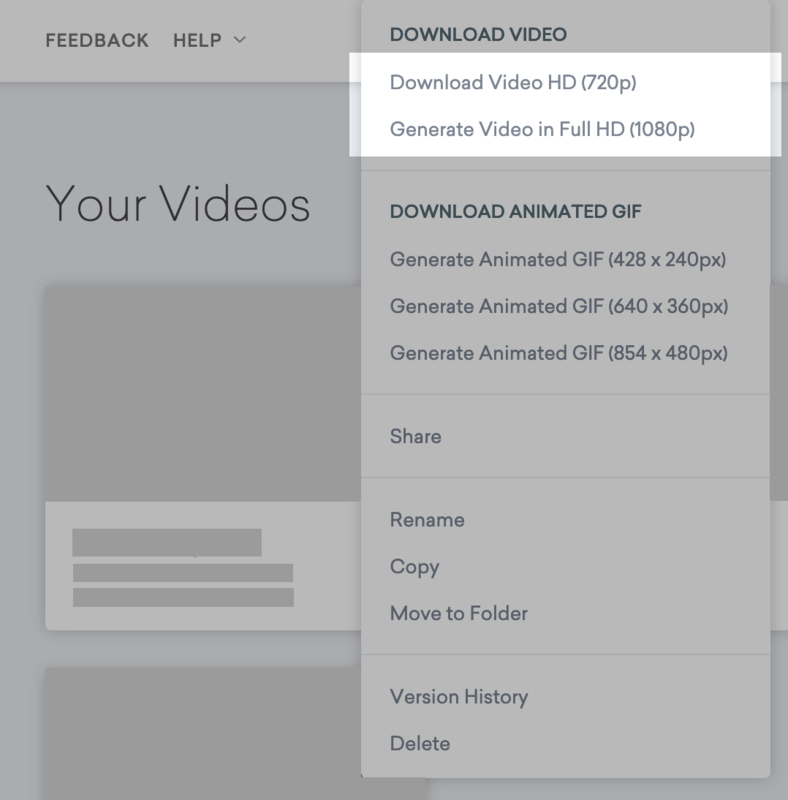 2) Click one of the download options: Download HD (720p) or Generate Full HD (1080p). 3) If Download HD (720p) is selected, a message may pop-up asking to open the file or save the file. 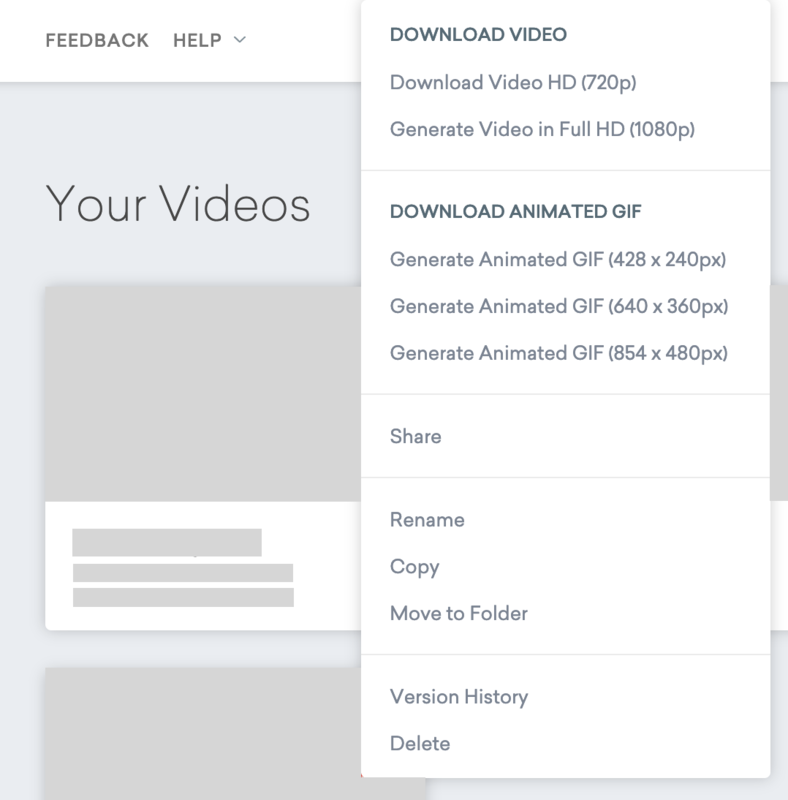 The video may automatically download to your "Downloads" directory on your computer depending on default settings, or to another folder if the default save location was changed in the past. Choose one of the options to proceed with downloading the video and open in Windows Media Player, QuickTime, VLC, or any other media player compatible with your device. 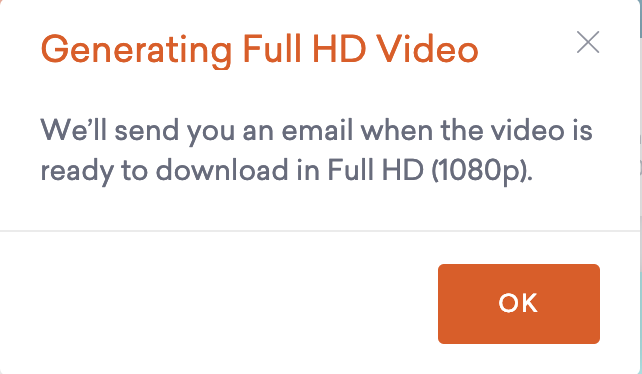 4) If Generate Full HD (1080p) is selected, a confirmation box appears and a message is sent to the email address on file when the video is completed. Please note - Vyond free trials do not allow video downloads or exports. Vyond Essential subscriptions will have a logo or watermark applied to them after download (learn more here). Vyond Premium and Professional do not have watermarks.